Senske Lawn & Tree Care, Inc. has been named one of the largest landscape companies in North America by Lawn & Landscape magazine. 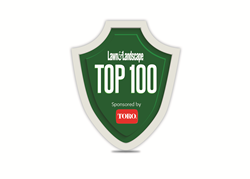 Senske Lawn & Tree Care, Inc. ranked 67th the 2018 Lawn & Landscape Top 100 list, which was published in May and sponsored by Toro. “Our hard working employees make it possible for us to rank in the top 100 year after year,” adds Becca Presley, Director of Marketing & Communications. The Lawn & Landscape Top 100 list is based on 2017 revenue from landscape profit centers as reported by each company listed. Companies on the list earned a combined revenue of $9,618,690,107 in 2017, which is an increase of $456,846,983, or 5 percent, compared to 2016. The average expected growth for 2018 is 9 percent. Companies on the list also reported total employment of 102,760. This year’s list was compiled by Lawn & Landscape editors in the first half of 2018. Email Horn at bhorn(at)gie.net with comments or questions about the list.